The socio-economic and political developments going on in Sierra Leone leave no doubt that the initiator and executor President Ernest Bai Koroma deserves to be highly appreciated by Sierra Leoneans, whatever their political or regional leaning. As we prepare for the 2012 Presidential Elections, one way Sierra Leoneans can demonstrate that they appreciate what President Koroma is doing for our nation is to vote him in overwhelmingly for a second term . When a President sacrifices his time, health and wherewithal to change the face of his nation so positively as President Koroma has done within the short time he has ruled the nation, our appreciation as a people should be seen clearly and unequivocally during the elections. Sierra Leoneans should give President Koroma a second term to complete the good work he has accomplished in the country. Having demonstrated to us that he is a man of his words who is busy fulfilling his campaign promises , President Koroma deserves to be given the opportunity to continue working for the Sierra Leonean people and developing the nation. Even his detractors cannot help conceding the fact that in the four years he has ruled the nation, President Koroma has positively transformed the nation with his development projects covering every sphere of human endeavour–From electricity to water supply, to good roads, to increased agricultural output and creation of a modern nation where the quality of life of the people has been dramatically given a lift. We have the interest of the nation at heart , unlike those who are only motivated by partisan, tribal and regional considerations . Some people have never spoken anything good about this government. They see all the magnificent developments going on but they only harp on the negative and these misguided people want to be seen as journalists. What a pity. Our standpoint that President Koroma deserves a second term is inspired by the socio-economic and political developments the President has accomplished in Sierra Leone since he was democratically voted in in 2007. The developments are there for everybody to see. There are those who do not want us to say it. They think that they will silence us by making all kinds of salacious allegations against us and writing all manners of scurrilous articles against us.But let it be said that nothing will discourage us from speaking the truth—highlighting the achievements of President Koroma and the All People’s Congress (APC ) Government. If the President is doing a marvelous job, why should somebody not say it ? Many well-meaning Sierra Leoneans have gone to Sierra Leone , seen all the good things going on in the nation and reported them faithfully to the diaspora. This is the one thing that gives us the greatest incentive to continue our positive coverage of the government– the plurality of consensus among Sierra Leoneans that President Koroma is doing a great job. Everybody who ges to visit Sierra Leone says the same thing we have been saying–That Sierra Leone is undergoing a remarkable transformation under President Koroma. The iinfrastructural development in Sierra Leone under this government is moving at ‘WARP’ speed. Its is simply incredible that any government in a short period of time.can achieve so much. Put in a nut shell I am impressed and very much so. The major streets of Bo town are all paved with narry a pot hole in sight. The road to Bo from Calabar town through Bo is a first class ride and so beautiful that I had to drive and have my driver take the back seat and sleep. I didnt drive more that 60 miles and I enjoyed it all the way. There were some speed bumps on the road which I didnt think was necessary but in retrospect they are necessary due to the excessive speed of vehicles on the high way. This week alone there have been at least two major acccidents on that highway that resulted in a loss of lives. Awoko lost members of his family to a tragic accident and may God Grant them Janna. There is also the issue of the massive traffic gridlock going from up gun through congocross in the mornings and in the evenings. This is partly due to the fact that construction crews on the wilkinson road axis choose to work during commute hours rather than at night which in my opinion would have been more effective and have contributed less to the traffic jams within that axis. The project however does portend to be a first class job when it would be finished. WHILE thanking Mr. Iscandari for his encouraging report, we enjoin all Sierra Leoneans to place value on these good news coming out of our country. There was a time when the only news they heard from Sierra Leone were the distressful ones. It came to a time when many Sierra Leoneans said they stopped going to parties, dances, outdooring and funeral occasions because they wanted to stop hearing the bad news from Sierra Leone which were generously revealed at these functions. Thankfully, the situation has changed today. We must be grateful for these wonderful news. 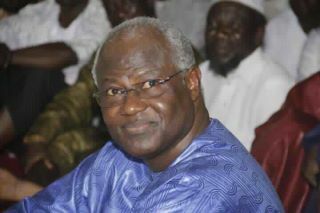 Come 2012, let us vote for President Ernest Bai Koroma . He deserves it. If we are a progressive people, this is what we will do. We must vote continuity to the heart-warming socio-economic and political changes going on in our country. Firstly, a balance in the proportion of cabinents ministers from all tribes and regions. Secondly he should seek talents from capable citizens with proving track records to help deliver agenda for change irrespective of their political affliliations. Thirdly the anti-corruption should not used to prosecute a selected few. Fourthly, forieign investment in mining and other areas of the economy should benifit Sierra Leoneans in both the short and long run. Really what president Koroma is heading to is of very great interest for the etire nation of Sierra Leone and only the selfishly and hatred wont consider his great effort. I want to know how we can share an article on Facebook?